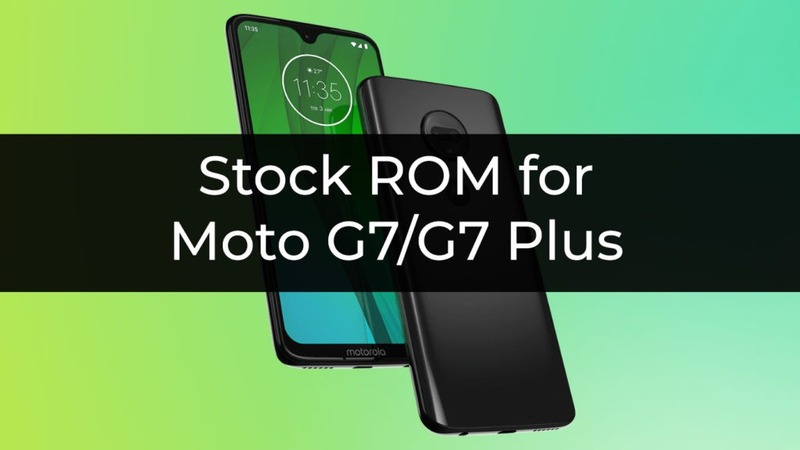 Stock ROM/Firmware for Moto G7 and G7 Plus. In this post, you will find stock ROM or Firmware with a Step by step installation guide. Are you looking for a Stock ROM to fix issues or Go back to a previous version? then you landed at the right post. Android devices usually get boot loops and other issues with Custom ROMs and Mods. In these cases, flashing a Stock ROM is the best solution. Stock ROM or Firmware contains the Android OS and the low level code which connect Android OS to Hardware. You will find the ROM and installation guide in this post, so let’s get started. This will flash the Stock ROM/Firmware on Moto G7 and G7 Plus.